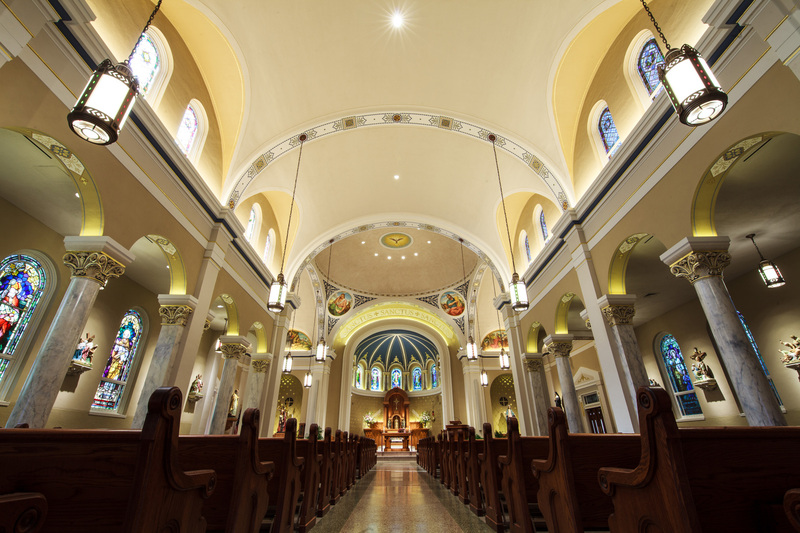 Established in 1897, St. Michael the Archangel Church Parish has faithfully served the people of Crowley, Louisiana, and surrounding areas for over 100 years. Today we are a thriving church parish in the Diocese of Lafayette, and we continue the Sacramental Traditions established by Jesus Christ as passed on to us by the Apostles to proclaim the Good News of Salvation to all the world through joyful, prayerful sacrifice. We are closed on civil holidays and Holy Days of Obligation. https://stmichaelcrowley.formed.org FORMED is an online Evangelization resource provided by St. Michael Church through the Augustine Institute. Click on the link to join this amazing website with access to thousands of movies, videos, books, daily reflections and much more. There is no cost to join FORMED, just enter the parish code C282V4 and begin a journey of discovery of the richness of our Catholic Faith!!! St. Michael's now uses an Online Giving system called WeShare. This will allow you to make your donations without writing a check each week. You can set up a recurring weekly or monthly payment, allocate different amounts for our different collections, and view complete, accurate financial records at any time. It saves all of us time and is a win-win for our parish! Those who wish to continue to use traditional methods of offering may do so, however, we ask that you prayerfully consider Online Giving. If you would like to enroll, please click on them image to the left. Daily Mass - 12:05 p.m. Holidays and Holy Days of Obligation - Please check the bulletin and events page on the website! Confessions - 3:30 p.m. to 4:15 p.m. Anticipated Mass - 4:30 p.m.
Sunday: Mass - 7:30 a.m.